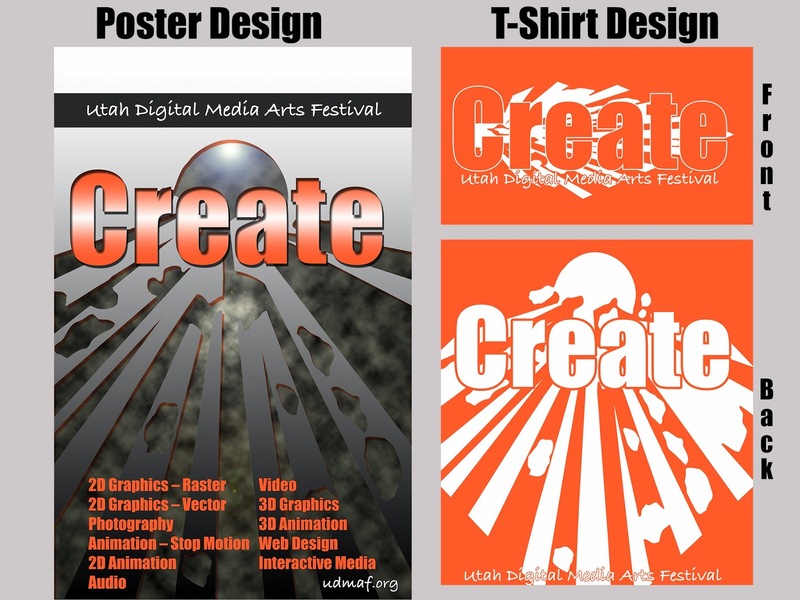 Create the t-shirt and poster of the 2015 Utah Digital Media Arts Festival! Students will create a theme of their choice relating to design, creativity, digital media, etc. Then they will create a poster and t-shirt relating to that theme. The winning entry will be printed and the t-shirt will be given to every student that attends the Festival in May. Winners from previous years can be found on the udmaf.org website. All media assets must be originally created by the student. Full color, 11” by 17”, 300 ppi. One color silkscreen. You may choose one color for the shirt and one for the ink. Gradients count as many colors and can’t be used in the t-shirt design. Halftones can be used to replicate the gradient look.